The Sunshine Award Goes To . . .
Actually, it was daytime – and it was gray and soggy. The sort of day that feels like a wet sponge, and no matter how tightly you twist and wring, it continues to seep water. At least that was my view as I stood in the potting shed, gazing out at a lawn that already needs to be mowed and winter remains that should have been raked up weeks ago. That’s when I noticed that sunshine can come from the most unlikely of places. 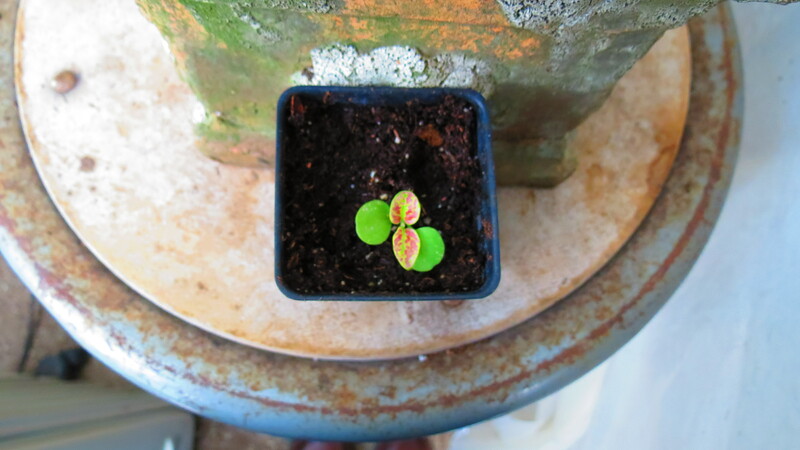 I had taken advantage of the weather to catch up on potting shed work, transplanting seedlings into individual pots. In this case, I marveled at the smallest splashes of color on the first true leaves of Hypoestes phyllostachya, or Polka Dot Plant. They actually seemed to sparkle on this grayest of gray days. I also caught a glimpse of sunshine on the arbor that spans the blue stone walkway. This may not look like much to you, but to me this is the payoff for which I have waited years. The Climbing Hydrangeas, purchased so long ago from a catalog, have finally matured enough to make their very first flowers. Even more sunshine arrived courtesy of Ni hao Shangai! and Outtakes on the Outskirts, both of whom nominated my blog for the Sunshine Award. Each of these blogs, although they couldn’t be geographically further apart, document family life in their own part of the world: Shanghai and Ohio, respectively. And to each of these remarkable women bloggers, I would like to extend my thanks for discovering my site and for passing along this honor. I’ve said it before – and I will say it again – when each of us writes and posts, we often forget that there is a world of an audience out there, each eager to explore and learn and discuss. When notice comes that your work is appreciated, well, it is hugely touching and encouraging. So, ladies, thank you again! With these various blog awards, there are rules that must be followed in the acceptance. So here it goes. Link back to the person who nominated you. Double check. Nominate 10 – 12 other bloggers and link them to the Sunshine Award post in their comments section. 1. What is your favorite color? Actually, I don’t really have a favorite — so I opened my closet and did a quick analyis of my clothes. There’s blue and green and lots of earth tones. When I look at that description, I almost sound like Earth. 2. What is your favorite animal? Again, I don’t really have a favorite breed. I’m not someone who is surr0unded by prints and posters and trinkets of, say, Pandas or Koalas. So I will take this as an opporunity to introduce you to the rest of the family: Murphy and Muffola. 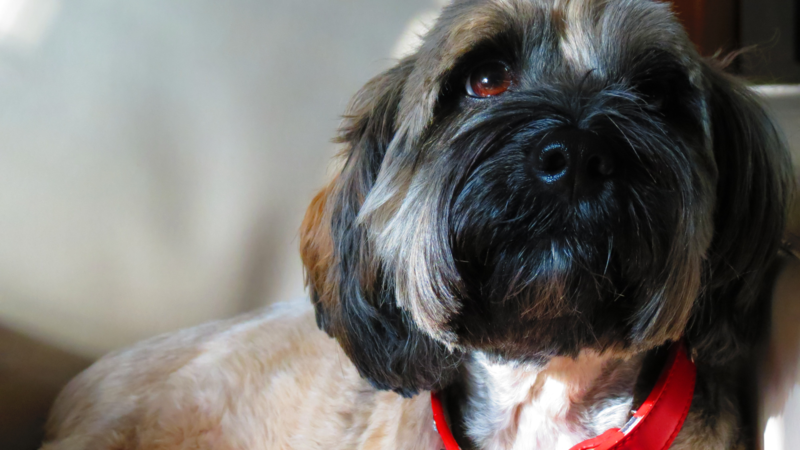 Murphy is our 7-year-old Tibetan Terrier, who is sadly dealing with some knee issues in her hind legs. Then, there is Muffola, the just over 1-year-old Ragdoll cat. 3. What is your favorite number? Hmmm. I really don’t think I have one. Seven? Because it rhymes with Kevin? My age? Because I’m happy to still be here? 4. What is your favorite non-alcoholic drink? This one is easy. Water. I like the basics — cool and refreshing. If I want to make it fancy, I’ll brew it into some unsweetened iced tea. 5. Which do you prefer: Facebook or Twitter? Up until yesterday, this was neither. I do not have a Facebook account because, as a school employee, I did not want students having access to me. Then they would ask to be my friend, and I would have to set a boundary and say no, and then it would just get ugly. So I have avoided Facebook. As for Twitter — Is anyone really that important that they have to message whatever they happen to be doing at any moment of the day or even their opinion on everything? Then I spoke to our friend Teresa, who gave me a crash course in blogging and Twittering and Facebooking and linking and, well, let’s just say I’m exploring all options on the social media front. I’ll keep you posted. 6. What is your passion? There are way too many to list. The obvious would be gardening and writing. Then, there is bagpiping, traveling, reading, and food. 8. What is your favorite pattern? Plaid. 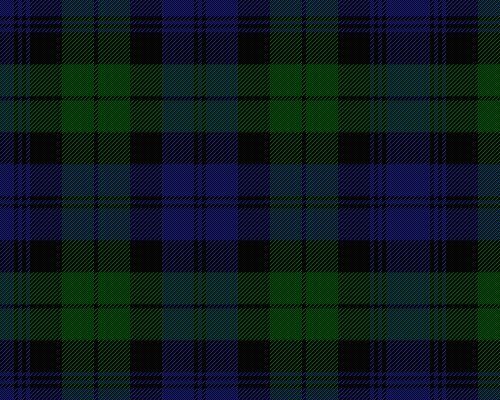 Hands down, it’s plaid. 9. What is your favorite day of the week? I enjoy Saturdays (it’s a weekend) and Wednesday evenings (bagpipe lesson night), but I especially enjoy a lazy Sunday morning, lingering over breakfast and The New York Times and the crossword puzzle. 10. What is your favorite flower? This is a particular difficult question, but if I have to play favorites, then Dahlia holds a special place in my heart — just don’t tell the other flowers. They each think that they’re my favorite. Now for my nominees. The first 8 are a group of blogs that I visit regularly for inspiration, creativity, and knowledge. They are, I guess, my rays of sunshine and I often nominate them for various awards. I truly admire the creators of these blogs. Numbers 9 – 14 (yes, I know I went overboard) are new discoveries. I was fortunate enough that they found my site so that I could explore and discover their world. Please find the time to click on over and explore all that they have to offer — no sunscreen required. Lee May’s Gardening Life — The first blog I ever read, and the one that inspired me to take the leap. Hortus 5 — The style is tremendous, but it’s Mario’s warmth and dedication that keeps me returning. Jean’s Garden — With wit and intelligence, Jean makes gardening and nature very hands-on. Arigna Gardener — Each day is an adventure, as Bridget shares so much of her gardening life in Ireland. Promenade Plantings — This is so more than a gardening blog. There are recipes and humor and a European life. Tidy Gardens by Jane — A day without Jane is like a day without sunshine. I especially love her humor. Canoe Corner — Join Marguerite as she shares her progress on renovating her dream home and landscape. Dreaming of Roses — If there was ever a place where the sun shines, it’s in this garden. Roses, roses, and more! Breathe Lighter — Three remarkable women have joined forces to share their inspiration, knowledge, and philosophy. Dirt Road Documentaries — An incredibly fascinating journey. 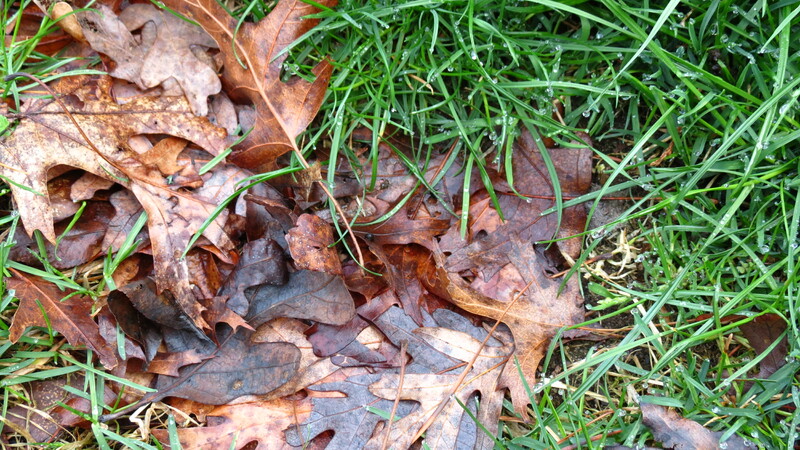 Rainy Leaf — Elaine offers a tremendous amount of gardening knowledge, with a Pacific Northwest slant. Joy in the Moments — Char takes the reader on a tour of life’s moments, and in between are lessons in writing and coping. The Garden Diaries — There’s a lot of design information here, but it’s Beekeeping 101 that grabbed my attention. Transformational Tuesdays — At last, it’s time recognize my friend Teresa, the same friend who instructed me on the power of Facebook and Twitter. This is just one of the many projects she has embarked upon in her effort to spread motivation and personal growth. At this point in writing — and reading — the sun feels as if it’s about to set. Again, many thanks to my nominators, and I hope you can find the time to visit my nominees. ← Bloomin’ Update 20: Bulbalicious! Thanks so much for the nomination. I enjoyed reading about you, especially your love of plaid. My husband loves plaid, too. And I love the pics of your pets. Muffola has beautiful eyes! Holley, you are very welcome. As for plaid, you can’t go wrong. One shirt plus three different color pants equals three different outfits. Muffola’s eyes are a selling point — the breed is known for blue eyes and a very dog-like personality. Now my head is way too big to get out the front door to go gardening!!! Stop it you crazy man, too much time in the sun me thinks. 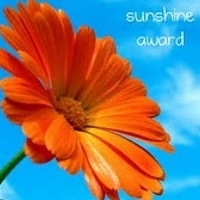 Honoured and prouder than a proud thing that’s uber-proud to accept the Sunshine Award nomination from your good self. Off to buy another frock…. Jane, although we are separated by an ocean, I like to think that great minds think alike. 🙂 As for my climbing hydrangea, I’ve waited closer to five years. It’s an agonizing wait but this is my climber’s year. Kevin, thanks muchly for the nomination, several rays of sunshine on this dark and gloomy day. Thanks on pics too. 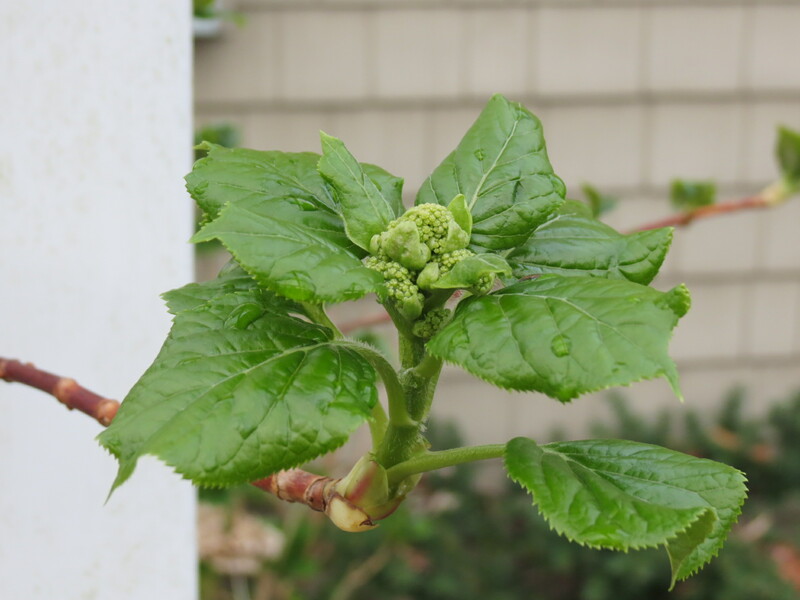 And, congratulations on getting that climbing hydrangea to flower; that plant has frustrated many a gardener. Congrats on your award, and thanks for spreading the sunshine, Kevin. Plaid seems perfect for you since you’re a bagpiper. And I love the picture of your pets. Kevin, Thanks again for honoring my blog. I haven’t had pets for years, but if I decide to again (after retirement, when my lifestyle is less peripatetic), a ragdoll or Himalayan cat would be very tempting; Muffola is a beauty. I’d be interested in hearing more about your experiences with social media; I’ve been resistant. Jean, you are very welcome and very deserving. When it comes time for a cat, I would recommend a Ragdoll. They’re very affectionate and friendly — with a dog-like personality. Muffola loves to be around people. As for the social media stuff, I’ll have to consult with a 10-year-old. I just don’t get it — but I’ll let you know. Celia, thanks so much for your support and friendship! Great to feel part of this gang of bloggers, growers, lovers of life. I’m looking forward to catching up with bloggers when I’m off the road in mid-April. And the beds, what play awaits me there! I truly enjoy catching up with your adventures, and I hope that other blog readers will discover your magic. Be well! Kevin, congrats to you and thank you for the nomination. I was happy to meet Murphy and Muffola. Congratulations on your award Kevin! 🙂 I agree, sunshine can come from the most unlikely places. The pets are both adorable. I have a special place in my heart for Siamese cats (have had two in my life), and the Ragdoll breed is close enough to a Siamese to be on my special list too. Muffola is beautiful (“My, what big eyes you have!”). I found several new blogs to follow from your list of nominees … thank you! Beth, thanks for your kind words and support. By all means, start clicking! 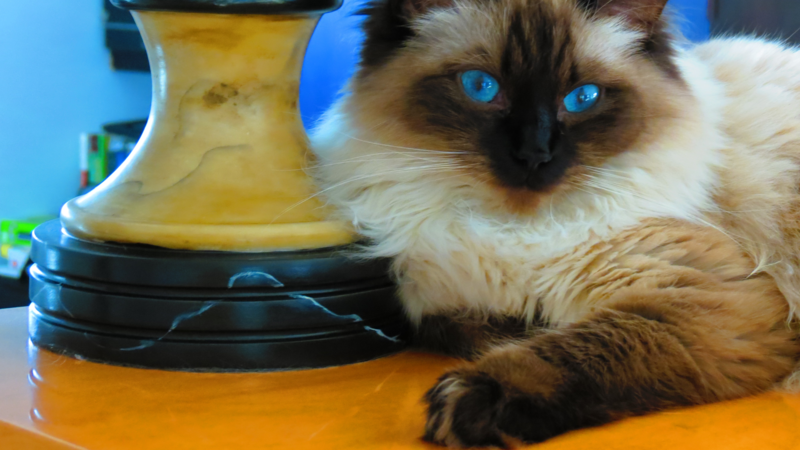 One of the reasons we were drawn to the Ragdoll was the personality — and the seal point coloring is very Siamese-like. 🙂 Muffola is my first ever cat, and I am enjoying watching her unique personality. There’s not much she doesn’t get into. Thanks. I hope you enjoy exploring them. It is very dry here, as well. I nice spring rain would be nice. Cheers!